Iran hanged a man the regime alleges was an agent for the Israeli Mossad and convicted of killing one of its nuclear scientists in 2010. Iran has hanged a man the regime alleges was an agent for the Israeli Mossad and convicted of killing one of its nuclear scientists in 2010, Iranian state media reported on Tuesday. Twenty-four year old Majid Jamali Fashi was hanged at Tehran's Evin Prison after being sentenced to death in August last year for the murder of Massoud Ali-Mohammadi, Iran's state news agency quoted the central prosecutor's office as saying. It said he had confessed to the crime. Ali-Mohammadi was killed in January 2010 when a remote-controlled bomb, attached to a motorcycle, exploded outside of his home in Tehran, Reuters reported. Tuesday's report alleged that Fashi had travelled abroad on several occasions to receive training from Mossad agents before returning to Iran to plot the assassination. Western analysts, however, said the 50-year-old Tehran University professor, had no publicly disclosed links to Iran’s nuclear program. A spokesman for Iran's Atomic Energy Organization said at the time he was not involved in its activities. 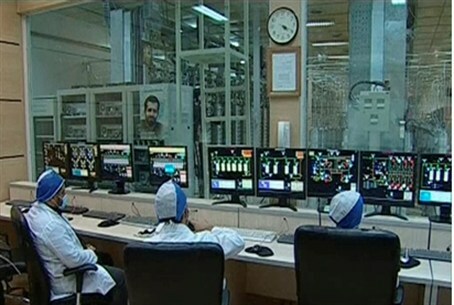 At least five Iranian nuclear scientists, including a manager at the Natanz enrichment facility, have been killed in recent years. Tehran has accused Israel’s Mossad, the CIA and Britain’s MI-6 of being behind the assassinations. The U.S. and Britain have denied the allegations but Israel has remained silent on the issue. Despite the almost daily warning’s emanating from Iran of its intentions to obliterate the State of Israel, the regime continues to deny Western accusations that it is seeking to obtain nuclear weapons.